I am desk jockey who does electrical design work. I have little in-the-field electrical experience. 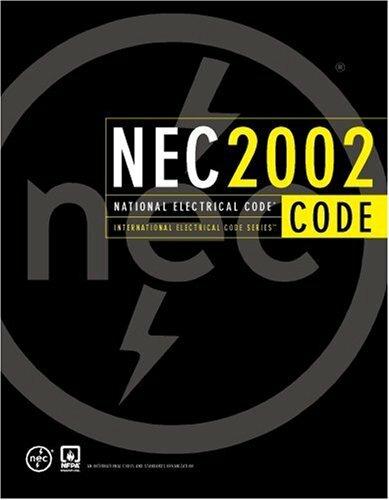 I use the NEC codes frequently to make sure what I design is code-compliant. I have a copy of the standard 1999 NEC book and found many parts of it difficult to interpret. 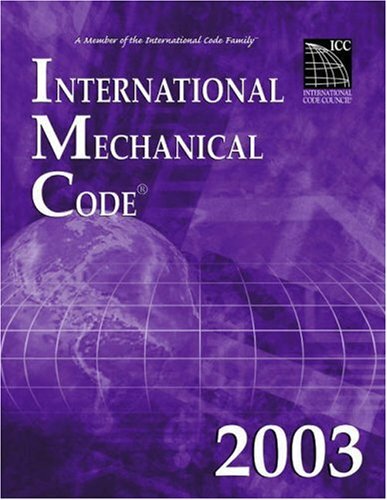 This new "handbook" version has answered all of the questions and uncertainties I had about the code. It has an illustration and explanation for just about every question I could think of. Even when I don't need a certain thing, I have found myself leafing through the book just to learn more. 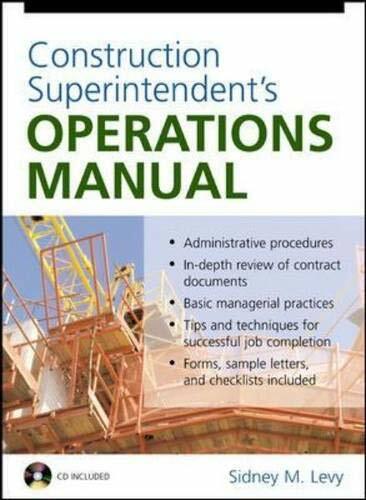 I would recommend this to anyone, but especially engineer types or those who are inexperienced. I feel much more confident about my job and I don't have to ask electricans those questions that make you feel stupid anymore. 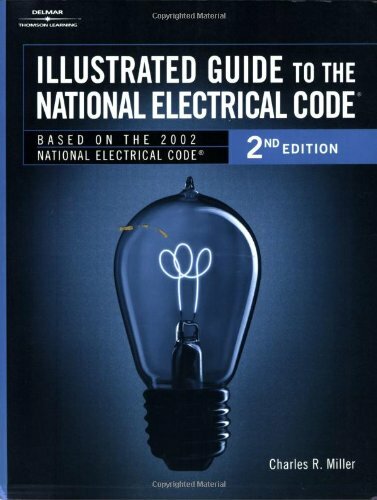 Even master electricians will appreciate the explanations of code changes from the 1999 version. 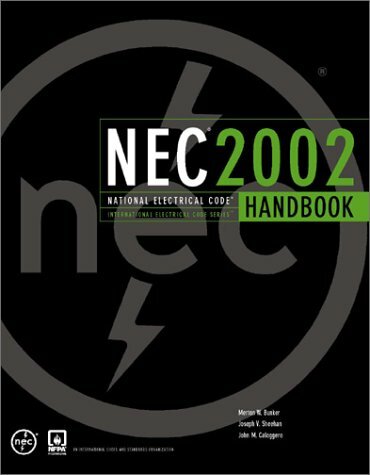 Overall, I can't recommend this book more, well worth the $50 or so more than the standard NEC book. 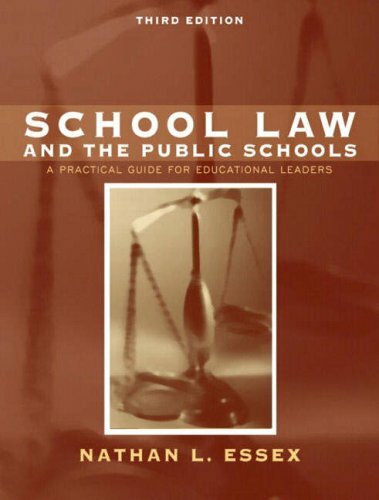 The author wrote this book in such a manner that a high school government student could understand the majority of the legal discussion and implications for school leaders. 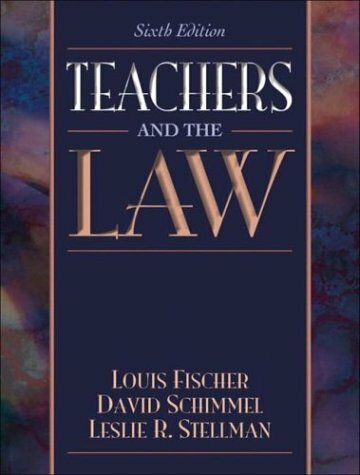 Today's educator would be remiss not to read this down to earth text and not pay attention to its contents while working in today's educational environments where one is constantly exposed to being sued. 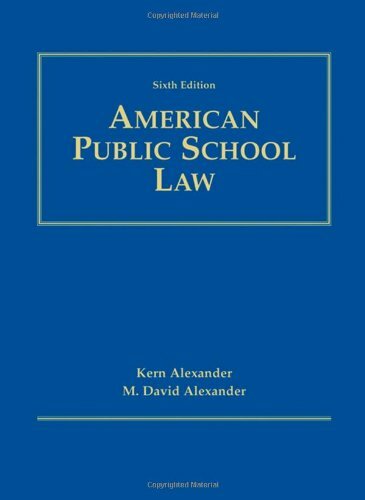 The author provides the reader with clear and understandable legal definitions, administrative summaries, landmark cases, and interesting legal situations that have occurred in public schools across the United States. Classroom teachers, school principals, superintendents, school board members, and graduate students all come away with a sense of "I will not do that again" after reading this very practical school law guide. Publisher: Legal Muscle Publishing Inc. Ordering steroids via the Internet; mail deliveries and seizure notices; importing steroids at the border; Fourth Amendment privacy protections; automobile stops and searches; Miranda rights; the psychology of police interrogation (the secrets about why the overwhelming majority of suspects [84% in a 1994 survey] waive their Constitutional rights -- a potentially devastating mistake! ); teenagers and steroids; soldiers and steroids; and much, much more! Twenty-five chapters and four appendices! With detailed accounts of case after case culled from Rick's own extensive steroid files. It's all in here: real world stories about everything from simple personal possession to major trafficking. Discover how anabolics work, what the medical literature really says about them, and how the media have presented "less than the truth." Read how steroids came to become controlled substances (shocking!) and how they are treated today under federal statutes and sentencing guidelines (including the first-ever reference table to apply steroid quantities to the federal guidelines). LEGAL MUSCLE even covers the anabolic laws and sentencing ranges of all fifty states, the District of Columbia and Puerto Rico  a veritable treasure trove never before available anywhere  not even to lawyers!!! Bridging the gap between the legal world and the muscle world, it's mandatory reading for defense lawyers and prosecutors, and for police officers and federal law enforcement agents, judges, and, of course, those who stand accused. Nobody -- absolutely NOBODY-- should be inside a courtroom on an anabolic steroid case without LEGAL MUSCLE! GET THE REVOLUTIONARY BOOK THAT EVERYONE'S TALKING ABOUT! ...unless you can handle the truth! 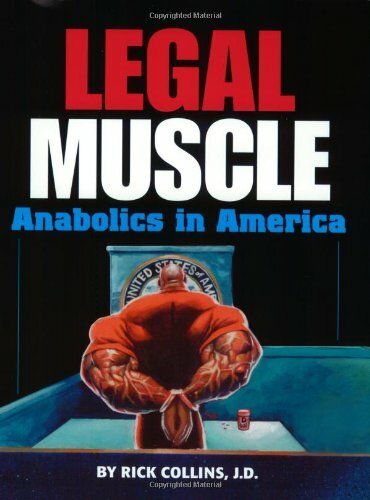 This is the ground-breaking, pioneer, authoritative treatise on anabolic-androgenic steroids and the law in the United States. Thoroughly researched and well-written in laymans' terms, this book is written by accomplished former prosecutor and current New York criminal defense attorney and prolific author, Richard (Rick) D. Collins, Esq. Rick is an expert in the handling of controlled substance cases, particularly those involving anabolics, and has carved-out a niche for himself where he has advised counsel on cases in federal and state courts from New York to California and nearly everywhere in between. In addition to being a courtroom virtuoso, Rick writes extensively on the subject. Rick Collins, attorney, accomplished bodybuilder and actor who has appeared on HBO TVs mob-hit THE SOPRANOS, is a name known to readers of Muscular Development magazine where he in on the advisory board and also pens a monthly column discussing anabolics and legal issues. From reading LEGAL MUSCLE, it's obvious that Rick is passionate about his work and has strong feelings against the scheduling and present penalties for the mere possession of anabolic-androgenic steroids by the recreational bodybuilder. Unbeknownst to many, myself included, LEGAL MUSCLE blows the lid off the real reason why anabolics have been demonized. If you think it's the alleged health consequences, think again. Moreover, contrary to what the mainstream media would have one believe, teens and professional athletes are NOT the ones who are being prosecuted. Further, Rick dedicates well-documented, end-noted chapters to the pharmacology and physiological effects and most importantly, debunks the hyperbolic myths of the asserted pernicious health effects. In and of themselves, these chapters could compose a handbook which is an excellent read for parents, teachers and athletic coaches at all levels. 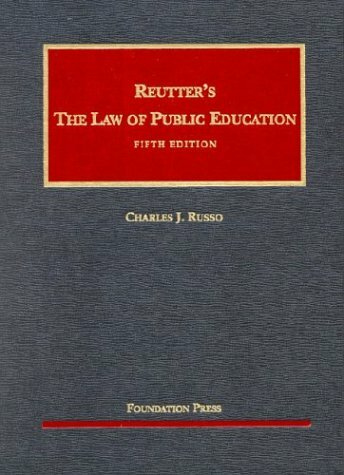 After the introductory chapters, which provide background for the neophyte to anabolics, Rick delves in the heart of the matter including: federal statutes (the laws of the fifty states, DC and Puerto are all reproduced in part in one of the appendices), federal sentencing guidelines, and an overview of how a case proceeds through the criminal judice system. Additional chapters discuss legal theories such as reasonable suspicion, probable cause and proof beyond a reasonable doubt; all of which dovetails into searches, warrants and the Fourth Amendment to the US Constitution. More specifically, based upon the multitude of steroid cases Rick has handled over the years, there are chapters discussing the most common ways in which law enforcement develop their investigations and ultimately make an arrest through confidential informants, controlled deliveries, cyber-sleuthing, and interrogation. The quality of these chapters is that the the lessons learned are not unique to anabolics, but rather, are translatable into virtually any other criminal matter on the docket, ie., assault, DWI, possession of narcotics, etc. While the book can certainly be read cover to cover, it can also serve as an authoritative treatise. One can simply open the book to a section or chapter and refer to that given issue. There are helpful charts and a first-of-its-kind glossary of anabolics and ancillary medications which includes their legal status. I have added a copy of LEGAL MUSCLE to my home library. Considering the amount of time and knowledge that Rick has dedicated to LEGAL MUSCLE, it's an excellent investment. What the government won't tell you about steroids! I was asked to read this relatively expensive book before my one-week intro to law class. I am not impressed. It seems very dry and very basic and mostly tells you what you will learn in the first year. Well, I plan to finish my first year so I suppose I will learn everything they want me to know. I have no fear of law school, so maybe I'm biased. There are also several pages dedicated to grammar. Useful enough, but hardly information that is going to allow me to attack law school without fear. Oh, and if you don't have a BASIC understanding of the purpose of the US Constitution (as included in this book, along with advice like being prepared for class), maybe you should reconsider attending law school. Please, please, please, go to a library and look at this book. 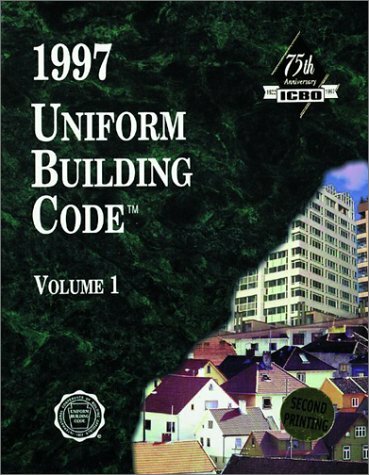 If you feel you still need it at that point, buy a used copy. It won't be heavily used. Further, their "examples" are just notable cases with different names that you will encounter in law school. That may be beneficial, but it seems pointless to hide a real case under pseudonyms. We actually have to learn these things at some point. I don't regret reading it, and I suppose that it true with any book I read. Nobody knows everything and I sure don't claim to. I'll get to my point and say that there are so many better books on the market. Look at the recommendation section above to find some. Of course, I may be wrong! : ) Happy reading. There is interesting and valuable information in this book, but the presentation -- the writing -- is about as dull as you can find. 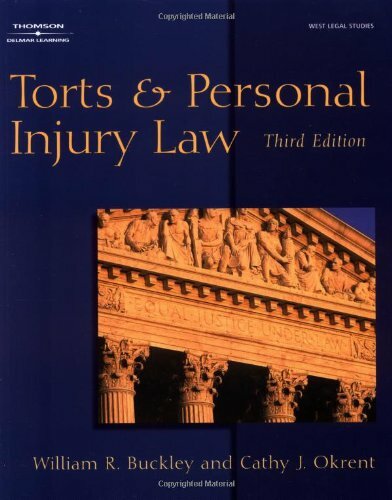 I would recommend it as supplemental material, but not your first read prior to law school. 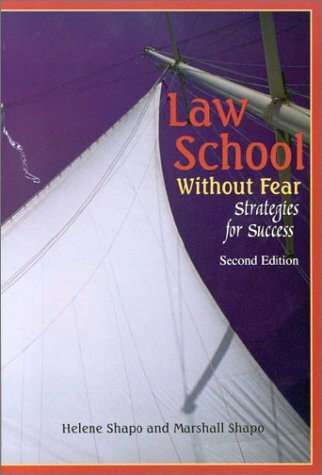 I can recommend "Acing You First Year Of Law School" by S.C. Noyes & H.S. Noyes. It touches on the same material, but the writing is leaner and far more approachable. TEACH YOURSELF TO BE AN EFFECTIVE ADVOCATE! Learning to be an effective advocate for your special needs child IS work! Special education is a "right", but must be assiduously pursued. But there are definite tactics and strategies to assist the parent. From Emotions to Advocacy [FETA] is a wonderful map for every parent. The book follows a logical and well organized road, beginning with preparing the reader for understanding the complex interplay of parents, schools, disabilities, and the Individuals with Disabilities Education Act and other disability laws. Among the important lessons that authors Pamela and Peter Wright teach are how to organize your files using a document management system, how to use private sector expert evaluations of your child and why they are essential, and how to understand the critical role of testing, percentile ranks, and the Bell Curve, and how to use those results to work for your child's "SMART IEP". The use of the "Columbo Strategy" to build valid IEP goals by asking "who, what,why,where, when, how and explain" [5Ws+H+E] is taught. The critical skill of letter writing and documenting all conversations, agreements, and decisions with your school administrators is part of the strategy of writing calm, factual letters as if they will be read by a "Stranger". Lessons to bolster your self confidence and achieve results in IEP meetings are carefully discussed. The sample letters in the appendices and the numerous strategy discussions lay out how to avoid letting anger and other emotions interfere with keeping your focus on improving your child's education. Numerous other appendices and cross references throughout FETA provide additional resources, including the informative Q&As of the federal IDEA Appendix A. As an attorney who has a child with special needs, I have benefited greatly from Peter and Pam Wright's insights and apply that knowledge in my own practice. FETA is the "how-to" starting point and compass for all parents entering the special education struggle. I attended the Cleveland, OH seminar in Feb, and was so glad that I did. Not only was the information, shared by Pam and Pete Wright, invaluable, but I was able to obtain their books, "Wrightslaw" and "From Emotions to Advocacy." Any parent who has a child with special needs, knows how difficult it can be, to get needed services, as well as have them implimented correctly. My youngest child is autistic, and he has been having a very difficult time during the current school year. Despite numerous attempts to resolve the problems, I was getting no where, on my own. As a last resort, I retained an attorney. Things were now beginning to move in a positive direction, and then I attended the seminar. Between the information shared at the seminar, and the information in the books, I now feel that I have a better understanding of the "do's, dont's, rights,and wrongs" that can and do occur with parents and school administrators. I immediately implimented some of the suggestions given in the books and at the seminar, with very positive results. One suggestion was to bring food to the meetings, something I have done for several years. I have yet to have someone tell me, "No thank you, I'm not hungry." Another suggestion was to be very organized. I purchased an expandable file folder, which holds all of my son's IEP's, MFE's, and any other correspondence, in chronological order. At my last meeting, on Mar. 5, a question arose, concerning past reports. I was able to pull out the needed report, quickly, while everyone else just sat there. The comment from the Special Ed Director was, "Look at this. Boy is she organized." No one, with a special needs child, should be without either one of these books. If you have a learning disabled child, this book will become your Bible. It is an excellent resource book and it has helped me tremendously in the IEP process. My son is in the seventh grade now. I wished I had purchased this book earlier. I suggest that anyone who is going through an IEP for the first time to buy this book. There is alot of information that is not provided by the school. Alot of parents accept what the school says without question. I suggest purchasing The Complete IEP Guide: How to Advocate for Your Special Ed Child as well. These two books will enable you to become more educated in the difficult journey through special education politics. It will guide you, offer suggestions and ultimately you will feel more confident as you approach the school department to get an appropriate education for your child. Along with these books, I highly recommend getting an educational advocate. They know the laws and they can interpret the test results that seem like they are written in a foreign language. To all parents with sped kids...good luck and I wish you and your child the best!!! Pete Wright's FETA book is excellent! 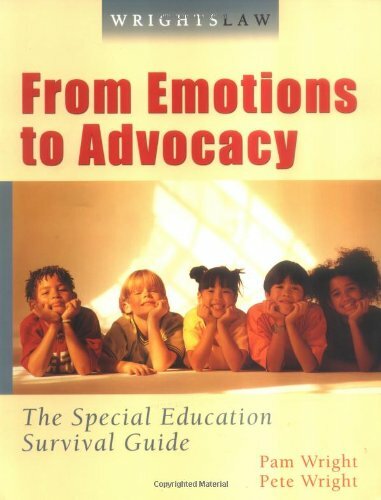 I recently attended Pete and Pam Wright's "Boot Camp" advocacy training in which their books, "From Emotions to Advocacy" and "Special Education Law" were used as part of their training. The books, as well as, the training are exceptional. In order for parents to become effective advocates for their child, these books are essential. I would highly recommend these books (and the training) to any parent of a disabled child. Pete's added comments contained within his "Special Education Law" book helps parents better understand just what the laws are saying without all the "legaleese". And the information contained in the FETA book is outstanding as well! It includes valuable information on how to interpret and understand your child's testing scores and to know what areas your child may be struggling in. I'll be using the information I gained from these books often! In fact, I already have! A Must Have for Parents of Children who have Disabilities! This book takes you step by step through the process of Advocating for your child! As parents we all know how confusing it can be to understand the system, test scores, IEP's and everything in between. From Emotions to Advocacy takes all the guess work out of it for us! It is an easy to read guide to Advocating for children with disabilities. It helps you to understand the process and how to work with the principals, diagnostitians, teachers and para-professionals to have a successful school year for your child! Most importantly how to take emotion out of the equation so that you can see things clearly and not burn any bridges on your way to getting what your child needs! As a parent of a child with autism, I have faced many struggles. Working with the public school system to provide my son an appropriate education has been the hardest struggle by far. I have read Wrightslaw: Special Ed Law and From Emotions to Advocacy by Peter Wright and have found them to be an invaluable resource for parents of special needs children. As with any disability, parents must educate themselves in order to help their child. These books are loaded with information that is essential for parents who wants to be strong advocates. I recommend these books to every parent who has a child in the public school system. An absolute "must-have" resource for special education! For attorneys who practice in the areas of special education law, for parents who have children with disabilities, for and parent/child advocates, Pete's book on special education law is a necessity! 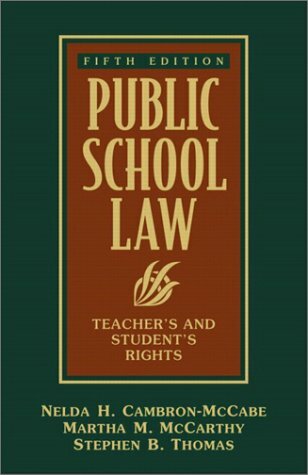 Due to the complexity of special ed laws and the amended IDEA, their book provides an easy-to-carry copy of the statute that is available at your fingertips. 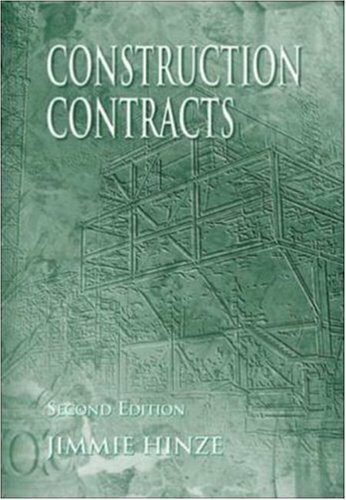 Furthermore, the comments and insights by the authors assists the reader in applying the laws to their cases. 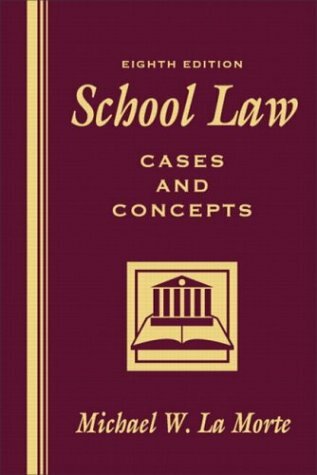 It is a wonderful reference to have included landmark special ed cases that are used over and over again by attorneys without the need to haul cumbersome law books. 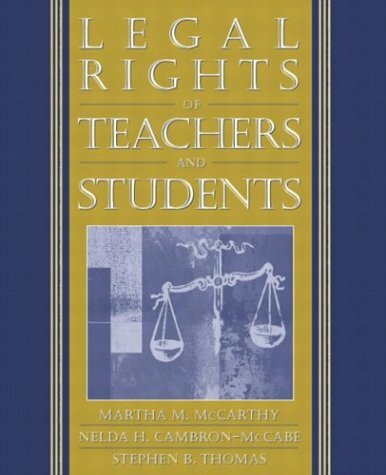 I stongly recommend this book to anyone who works in the area of special education law. 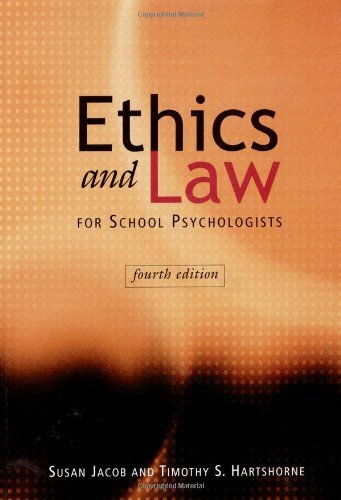 I have recommended this book to parents, as well as referred parents to the 'wrightslaw' website. Their book is 'parent-friendly', and refreshing for attorneys to read convoluted laws reduced to plain language. Congratulations to the authors on making a difficult statute easy to understand! This book is a must have if you have a child with special needs. It is the most comprehensive book around for helping your child get an education! I call it my special education bible. If you can only afford one book to help you through the special education maze, this is the ONE to buy! This book is extremely well written, concise and incredibly practical. As a parent of a special needs child, my copy is dogeared with tons of stickies coming out the sides and highlighted paragraphs throughout. The unraveling of caselaw portions and the clear writing style help you understand the nuances of special ed law, expectations you can have, how to be smarter in and out of an IEP meeting, and how not to be bushwacked. It has the good stuff, but doesn't skip on the real language either. Well balanced with nothing fluffy. I'd rather lose my dayrunner than my copy of Wrightslaw.